The Heidelberg Wind Ensemble was established in 2007 with the vision of giving opportunities for highly skilled musicians to play interesting and challenging works for this instrumentation, especially those written from the 20th & C21st Century. Heidelberg Wind Ensemble commissions original works from Australian and International composers and presents numerous Australian Wind Band première performances each year. The ensemble has approximately 40-45 players only, with essentially one player per part, and all positions are auditioned. This Wind Band requires high standard performers on all instruments. The minimum age for audition is 18 and, as such, is intended to be an ensemble for the musically skilled adult and mature musician. There is no upper age limit for any member of the ensemble. Another aim of this ensemble is to perform frequently with guest solo artists guest conductors, thus providing a platform for the many talented young musicians in Melbourne to show their skills in performance and gain invaluable experience. Naturally this also gives local music-lovers a chance to hear a wide range of music which would otherwise go unheard. New members are most welcome. An annual membership fee is payable and by joining, you become a member of the Heidelberg Orchestras Inc. 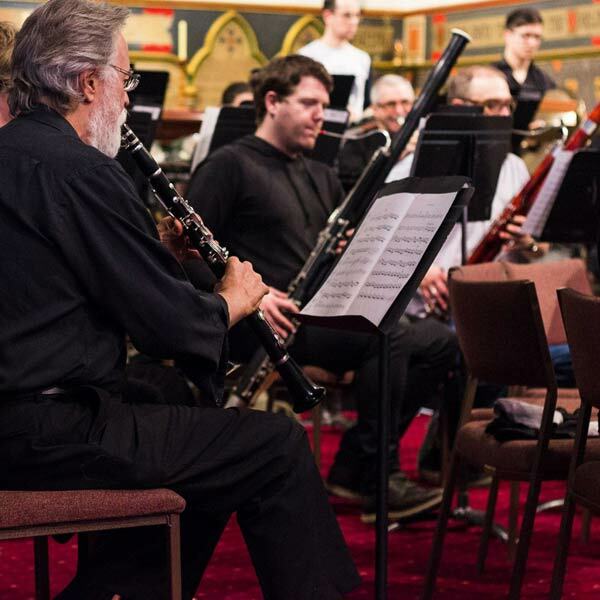 The Heidelberg Wind Ensemble will be performing at several venues this year: the principal performance venues are the Salvation Army Citadel in Box Hill & St. George’s Anglican Church in East Ivanhoe. Click here for performance details and dates. Rehearsals are on Monday evenings from 7:00 -­ 9:40 pm at the Moreland City Bands rehearsal room at 22 Cross Street, East Brunswick. There is ample free car-parking at the venue and is a short walk from the Lygon Street Tram, Route 6, (Glen Iris – Moreland) if you are coming from the City. Get off at Albert or Victoria Street, East Brunswick.